The use of mobile devices such as Java-powered phones, smartphones, tablets, and notebooks is on the rise. Realizing the revenue potential in the mobile sector, the gambling industry began developing software solutions and apps to enable mobile customers to play their favorite online casinos on the move. Thanks to these developments, the best mobile casinos in the industry today offer games and apps for almost all existing mobile devices. This, coupled with the fact that mobile devices can easily be carried around, has made real money mobile gambling very popular indeed. FREE $160 Bonus - 18+. T&C's Apply. FREE £100 Bonus - 18+. T&C's Apply. The 888 mobile casino is a popular mobile casino that was launched in 2007. It is a part of the 888 Group and is owned and operated by Cassava Enterprises, another entity that is wholly owned by the 888 Group. Available in multiple languages, this mobile casino is licensed by the Government of Gibraltar and regulated by the Gibraltar Gambling Commissioner. Unfortunately, it does not accept players from the USA. The 888 mobile casino is powered by proprietary software from the 888 Group. The software provides it with a fabulous interface and some mind-blowing games, not to mention superior quality graphics and animations. This casino is accessible currently from Android devices, iPhones, and also iPads. The software also provides the 888 mobile casino with some high-quality games, including slots, table games, and also progressive jackpots. You can play the games for free as well as for real money at this mobile casino. The deposit options available to encourage real money play are many, over 20 of them in fact, and include credit cards, debit cards, PayPal, NETeller, Skrill, ClickandBuy, and UKash. You also get excellent customer support 24×7 via telephone and e-mail in multiple languages when you play at the 888 mobile casino. FREE $500 Bonus - 18+. T&C's Apply. The All Slots mobile casino is part of the Jackpot Factory Group. This mobile casino was launched in 2005 and is licensed by the Lotteries and Gaming Authority (LGA) of the Government of Malta. It is also certified for fairness and safety by eCOGRA. Unfortunately, players from the USA are not welcome at this mobile casino. The All Slots mobile casino runs on software from Spin3, powered by Microgaming. The software is among the best in the industry and provides the casino with some superb features, including great graphics and animations, the ability to track your cash and transaction histories using the proprietary CashCheck and PlayCheck features, and more. This mobile casino is currently accessible from iPhones, iPads, the iPod Touch, Blackberry phones, and also Android devices. The All Slots mobile casino has slots, table games, card games, and progressive jackpots totaling over $11.4 million. There are almost 15 deposit options supported to enable you to play these games for real money, including credit cards (Visa and MasterCard), debit cards (Solo, Switch, and Delta), Vanilla prepaid cards (Visa and MasterCard), NETeller, Skrill, UKash, EcoCard, EntroPay, ClickandBuy, and Click2Pay. The casino also provides excellent customer support 24×7 via telephone and e-mail through a team of dedicated professionals. 200% First Deposit Bonus - 18+. T&C's Apply. Launched in 2009, Black diamond Casino is owned and operated by Engage Entertainment Group. The site features an elegant black layout which works seamlessly on mobile screens as well. The main menu is shown as a side menu to make navigation easier for mobile users and players are only one screen tap away from playing outstanding slots, table games, video poker or live casino games. Being mobile responsive, Black Diamond is easily accessible. The brand boasts a welcome bonus, weekly tournaments, monthly gifts and attractive promotions whenever the occasion arises. FREE $5,000 Bonus - 18+. T&C's Apply. FREE $1,000 Bonus - 18+. T&C's Apply. EuroGrand is an online casino site that was established in 2006 and grew at a considerably fast pace. Unlike many other brands, they concentrated on creating the best casino product possible from the beginning, which could be one of the reasons why they became widely recognized so quick. With over 100 games on the offer, over a dozen from those being mobile, it isn’t much of a surprise. What’s so great about EuroGrand? PlayTech games is the first thing coming to our minds. Widely recognized game titles like Rocky, Incredible Hulk and Gold Rally is just a small bit of extraordinary games that you’ll be able to play. Supported by all major mobile platforms, such as iPhones, iPads, all Android devices and most smartphones, there’s hardly any reason not to choose this brand for playing. Top that with exceptional support that goes on a personal level along with the generous bonuses and loyalty rewards. If you are looking to play games developed by PlayTech, this is definitely a top choice. When it comes to licensing and regulation, this brand also is at a great standing. Licensed and regulated by legal entities of Gibraltar, which is one of the most respected, trusted and expensive locations for a gambling site to be at. The mFortune mobile casino is an award winning mobile casino that has established itself as the largest mobile casino in the UK. It has been developed by Intouch Games Ltd., and is licensed by the UK Gambling Commission. This mobile casino accepts players from the USA. The mFortune mobile casino is powered by proprietary software that gives it a number of exciting features, including a superior gaming experience, live chat rooms, great games, and more. An amazing player-friendly user interface is the first step towards a superlative mobile gaming experience at this casino. This mobile casino boasts of an amazing statistic: compatibility with 99% of all mobile phones: you can access it from a range of Android devices, iPhones, iPads, Blackberry phones, Windows phones, and also Nokia handsets. The mFortune mobile casino also boasts of an array of exciting games that you can play in free mode or real money mode: slots, video poker, table games, bingo, and more. To play for real money, you have to deposit funds into your mobile casino account. The deposit options supported include credit/debit cards, UKash, and paying through your phone bill. Withdrawal options include checks and bank transfer. And finally, you get excellent customer support as well at this mobile casino, primarily through telephone and e-mail. There is also a call-back option available. £250 FREE Bonus - 18+. T&C's Apply. Mr Green is an excellent mobile casino that is powered by multiple software platforms and offers one of the widest mobile casino games libraries. Licensed by the gambling jurisdiction of Malta, the casino is safe and fair place to play casino games and it has great bonus program. No app download is necessary to play the games; you can visit it directly from almost any mobile device or tablet that has Internet connection. Mr Green has stylish setting, beautiful designs and it is easy to navigate. You can see Mr Green himself popping up in different locations while you browse the casino. Players have many gaming options to choose from. Mr Green offers fantastic mobile slots and they can be played for free before betting with real money. Next to slots, the casino offers table games, video poker and jackpot games. Mr Green also offers the best and reliable banking options for casino deposits and withdrawals and they are all secured by the latest security software. The mobile casino also has responsive customer support that is easy to reach. FREE €3,000 Bonus - 18+. T&C's Apply. partycasino is a brand name that really doesn’t require additional information. They are a part of the worlds largest online gambling company ”bwin.party” and offer services of exceptional quality in a variety of gambling types, one of whom is mobile gambling. You’ll find games developed by BetSoft, PartyGaming, 888 and CryptoLogic at partycasino, which means that it’s highly unlikely that there will be a lack of them, regardless of what you’re looking for. Some of the most popular game titles include The Incredible Hulk, Amazing Spiderman and games that are linked to their ”The Big Five” progressive jackpot network. Of course, BlackJack and Roulette are also available, along with a handful of other popular game types. Another major perk for choosing this brand versus others is their bonus offers and promotions. All new players qualify for a $3,000 welcome package, but that’s just the start of promotional load at partycasino. When taking a look at compatible devices, users of whom will have a chance to play mobile casino games at Party, it’s a little bit disappointing to see that BlackBerry smartphones aren’t supported. Other than that, compatible phones and tablets are somewhat ”standard” – Apple developments like iPhone and iPad as well as all devices that are powered by Android. FREE $1,200 Bonus - 18+. T&C's Apply. Royal Vegas combines all the excitement of a real-time online casino and the possibilities of mobile gaming in its Mobile casino offering. The Fortune Lounge Group affiliate promises a secure and feature-packed mobile casino which utilises only the latest technology and offers state-of-the-art game-play. Hand-held casinos give players the opportunity to play their favourite games from anywhere and Royal Vegas does not disappoint with a range of enthralling and popular games. With Microgaming at the helm of all game development players can expect top of the range video slots, table top games and progressive jackpots combined with an array of promotions. FREE €1,000 Bonus - 18+. T&C's Apply. Another popular mobile casino worth trying out is the Slotland mobile casino. The mobile casino offering from Slotland Entertainment S.A., it brings Las Vegas right into your pocket, through the screen of your mobile phone. It is fully licensed by the Government of Anjouan and has a full complement of exciting games waiting to be delivered to you. This mobile casino accepts players from the USA. The Slotland mobile casino is powered by proprietary software that ensures reliability and robustness. To play the games, all you need to do is download them to your mobile phone or tablet when you are at this mobile casino. Currently, this mobile casino is compatible with iPhones, iPads, iPods, Android phones, Blackberry phones, and also Symbian-powered phones like Nokia. As the name suggests, the Slotland mobile casino is primarily about slots, but other games are available as well. Here you can try your hand at games like Lucky Strike, Golden Gate, and Jacks or Better. You have to deposit money into your account to play the games for real money here. Deposit options at this mobile casino include VISA, NETeller, Skrill, and InstaDebit. Withdrawal options include checks, wire transfer, NETeller, Skrill, and InstaDebit. All transactions are completed in a totally secure environment thanks to the use of advanced encryption technologies on par with the best in the industry. Spartan Slots features a swell Ancient Greece theme and a lovely dark red layout that pleases the eye, no matter what screen size you load it on. Most countries are allowed to play, although there is a list of restricted areas. The Spartan Slots brand and gambling site are licensed by the government of Curacao, and players can safely engage in placing real money wagers on games from multiple providers including some of industry’s best suppliers like NetEnt and Betsoft. Spartan Slots mostly features classic and modern video slot machines, with an addition of a solid number of virtual table games and live dealer tables. The choice of payment methods is most satisfactory, and customer care is maintained on the highest of standards. The casino platform is instant-play, which makes it compatible with most handheld devices. Spartan Slots accepts several currencies and promotes responsible gaming. 100% up to £200 Bonus - 18+. T&C's Apply. The Videoslots mobile casino was launched in April 2011 to provide users with a fantastic gambling experience on their mobile phones. This mobile casino is owned by Panda Media Ltd. and operated by Panda Media NV, a subsidiary company. It is licensed and regulated by the Government of Curacao in the Netherlands Antilles. Unfortunately, players from the USA are not welcome at this casino. The Videoslots mobile casino is powered by Quickfire software driven by Microgaming and Digitus Ltd. The software provides the casino with some exciting features, apart from a great user interface. You get an amazing array of games along with the ability to track your game and cash histories using proprietary Microgaming tools like PlayCheck and CashCheck. Currently, this mobile casino is compatible with iPhones, iPads, and also Android devices. There are hundreds of games in all at the Videoslots mobile casino. Most of them are slots, but you also video slots, blackjack, roulette, video poker, and some exciting progressive jackpots. To play these games for real money, you can fund your account using one of the payment options supported: credit cards, NETeller, Skrill, PaySafeCard, Euteller, POLi, Bank wire transfer, Instant online bank transfer, and UKash. The casino also offers excellent customer support through e-mail. You can also avail the call-back option offered by filling up a form and leaving your number with them. Winner is an all-in-on online gambling brand, offering various ways to gamble to thousands of players worldwide. This includes online poker, bingo, live dealer casino and a number of gambling games. They also offer a top notch mobile casino services, with a dozen of popular games from PlayTech. 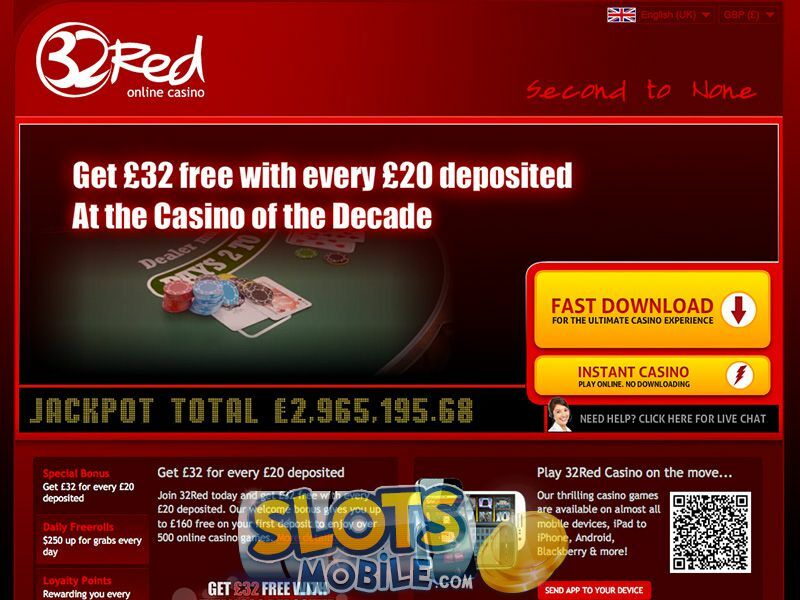 After being established in 2009, they definitely have turned into one of the most popular casinos using this software. With PlayTech right behind every piece of software offered by this brand, you can surely feel comfortable about both, the games and compatibility. Use iPhone, iPad, Android devices as well as pretty much any other, Java supportive, gadget to play over a dozen of mobile casino games. Players who choose Winner Casino certainly won’t end up disappointed and here’s why. First of all, their mobile games are of exceptional quality and offers titles like Rocky and The Pink Panther. Secondly, you’ll be able to use a range of services, all from a single account. Bet on sports or try your luck at bingo. Lastly, the bonuses are also not something that could be referred to as casual. All players can take advantage of no deposit offers and tailored welcome bonuses. Royal Vegas combines all the excitement of a real-time online casino and the possibilities of mobile gaming in its Mobile casino offering. The Fortune Lounge Group affiliate promises a secure and feature-packed mobile casino which utilises only the latest technology and offers state-of-the-art game-play. Hand-held casinos give players the opportunity to play their favourite games from anywhere and Royal Vegas does not disappoint with a range of enthralling and popular games. With Microgaming at the helm of all game development players can expect top of the range video slots, table top games and progressive jackpots combined with an array of promotions. Since mobile casinos exist as parts of online casinos, it isn’t very easy to find them. Players, especially beginners, will find it very difficult to visit every online casino to find out if it has a mobile casino. Fortunately for them, a number of affiliate sites provide comprehensive and honest reviews of mobile casinos so that beginners can choose the best mobile casinos of them. A simple Google search can also reveal a few mobile casinos, but players need to research these casinos well to find out if they are licensed and regulated before signing up for real money. Mobile casinos are great, but they have their disadvantages too. Mobile device owners must remember that the mobile gambling industry is still in its infancy. Owing to the smaller size, lesser space, and limited processing power of most mobile phones, players will not be able to enjoy the same quality of sound, graphics, and animations they can enjoy at online casinos. In other words, players’ mobile gambling experience depends on the quality of their mobile device and the mobile casino they have registered at. Mobile device owners must visit the online casino that offers mobile gambling services on their browsers and register a real money account. Alternatively, they can visit the mobile casino on their computers and scan the QR code available on the mobile casino homepage using their mobile’s scanner applications. Some mobile casinos also direct users of iOS, Android, and Blackberry to visit their respective app stores online and download mobile gambling apps from there. Once players have downloaded the required applications on their mobile devices and signed up for a real play account, they are ready to start playing mobile casino games for real money. We recommend the following mobile casinos because they run on excellent mobile gambling software platforms, welcome newcomers with attractive bonuses, run exciting promotions, and reward loyalty with points and bonuses. All Slots Mobile welcomes new players with a no-deposit bonus of $5 plus a welcome package of $500 and is compatible with Android, blackberry, iPod Touch, iPhone, and Java-powered devices. mFortune enjoys a great deal of popularity because it offers bonuses sans wagering requirements and processes payouts quickly. It is an award winner that allows players to deposit with their phone bills. Both Slotland Mobile and Royal Vegas Mobile are compatible with all mobile devices and allow players to play slots without downloading any software.